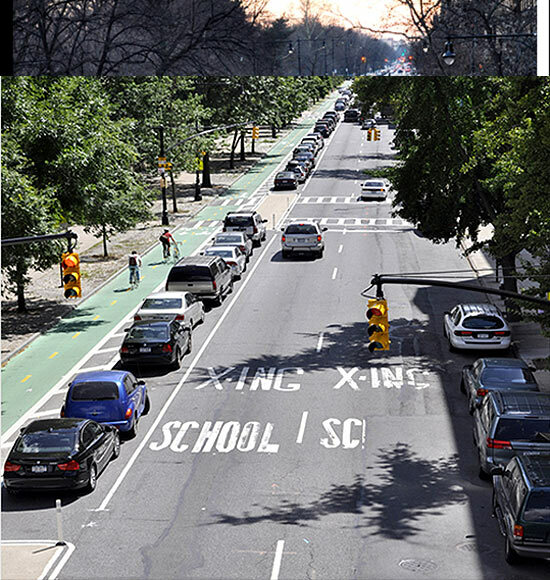 [beforeafter] [/beforeafter] New York City has been adjusting to its new Mayor Bill De Blasio, who took office at the beginning of the year. The new mayor has been slowly revealing his team of commissioners who will guide the city's continued transformation. 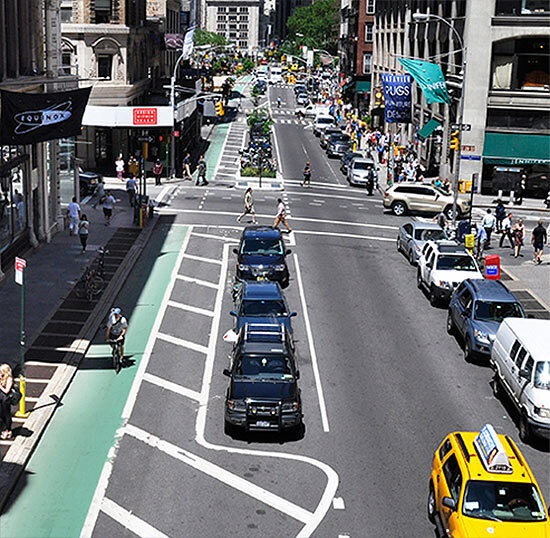 As AN has noted many times before, De Blasio's predecessor Michael Bloomberg and his team already left a giant mark on New York's built environment. 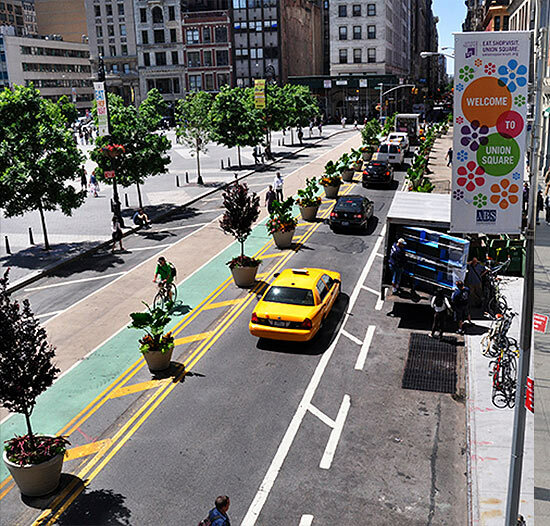 With little more than paint, planters, and a few well-placed boulders, Bloomberg and former Transportation Commissioner Janette Sadik-Khan's street interventions have been some of the most evident changes around the city. Whether it's at Brooklyn's Grand Army Plaza, above, or at Snøhetta's redesigned Times Square, these road diets shaved off excess space previously turned over to cars and returned it to the pedestrian realm in dramatic fashion as these before-and-after views demonstrate. 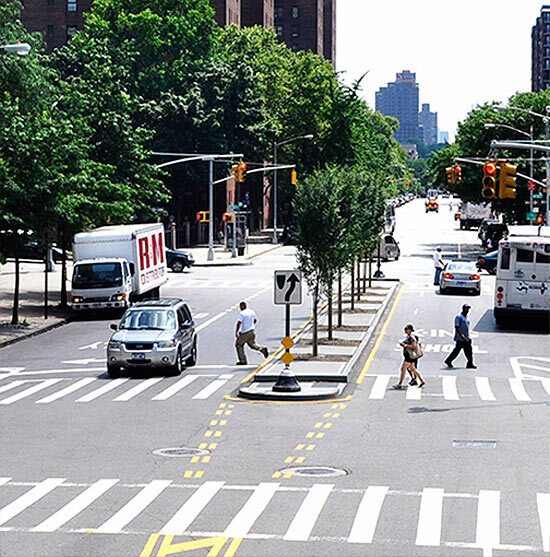 As we continue to learn more about our new Transportation Commissioner Polly Trottenberg, take a look back at 25 of the most exciting road diets and pedestrian plaza conversions across New York City from the Bloomberg era. 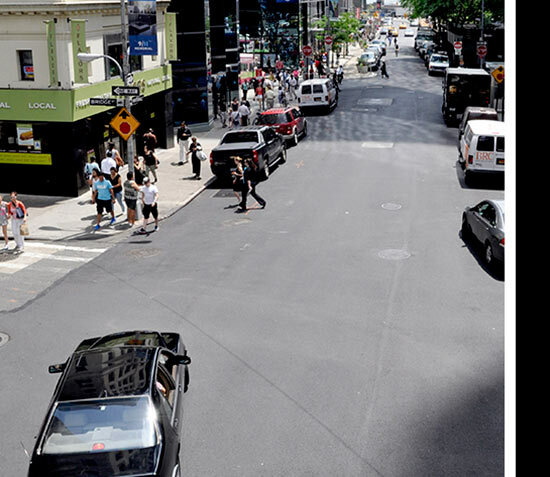 [beforeafter] [/beforeafter] Location: Allen and Pike Streets in the Lower East Side. 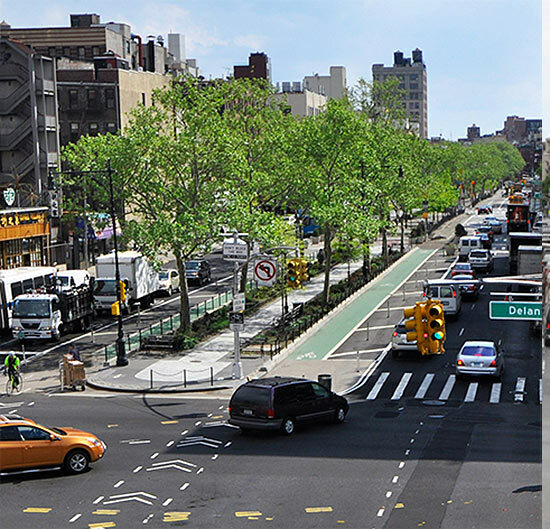 [beforeafter] [/beforeafter] Location: Holland Tunnel Area. 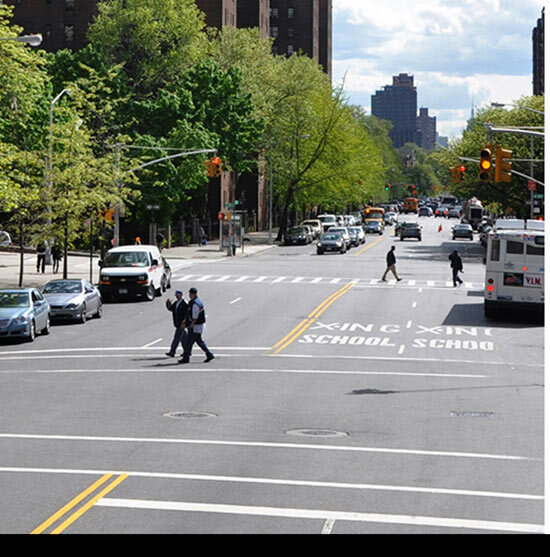 [beforeafter] [/beforeafter] Location: St. Nicholas Avenue & Amsterdam Avenue. 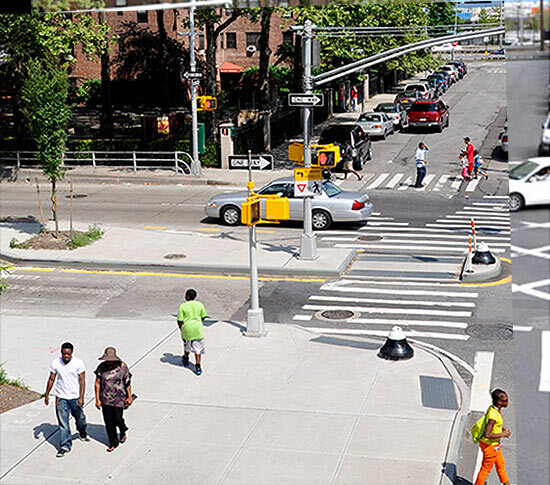 [beforeafter] [/beforeafter] Location: Allen and Pike Street in the Lower East Side. 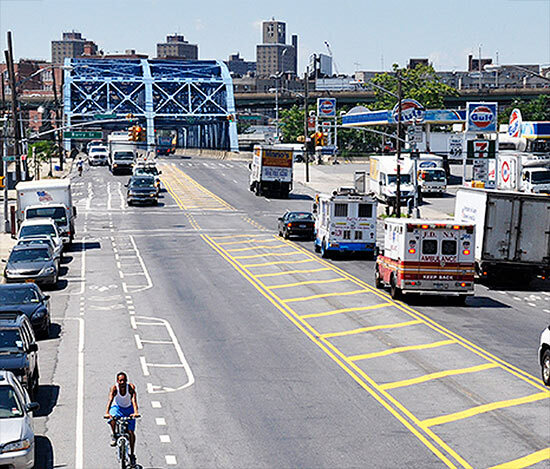 [beforeafter] [/beforeafter] Location: Harlem River Park Gateway. 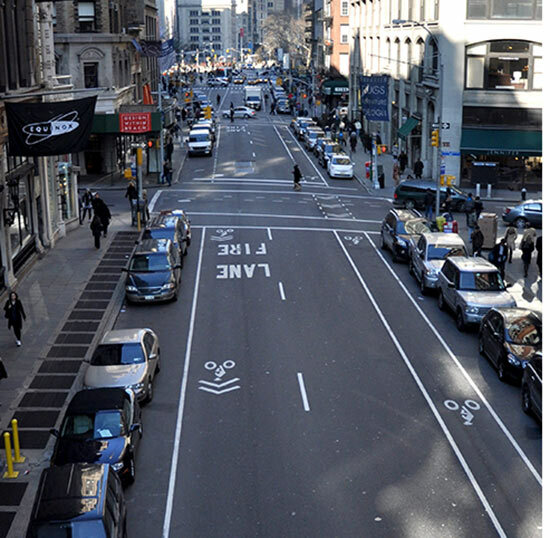 [beforeafter] [/beforeafter] Location: Herald Square. 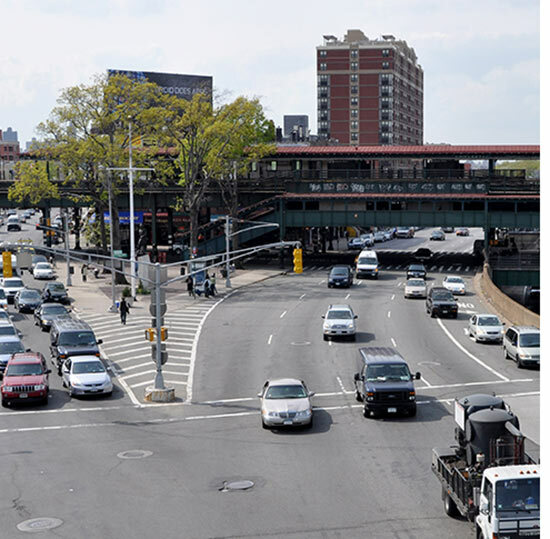 [beforeafter] [/beforeafter] Location: Harlem River Park Gateway. 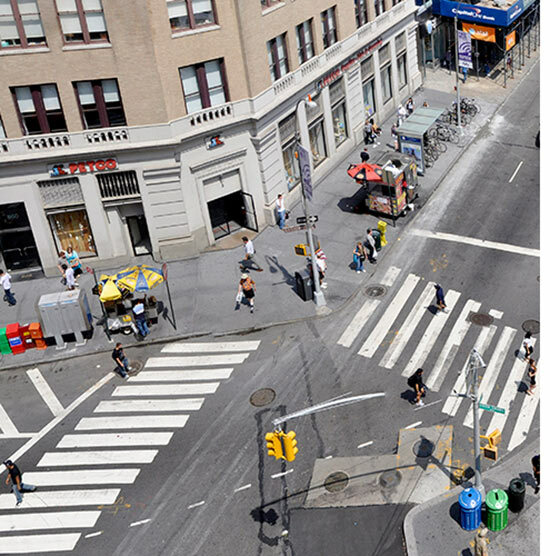 [beforeafter] [/beforeafter] Location: Broadway at Times Square. 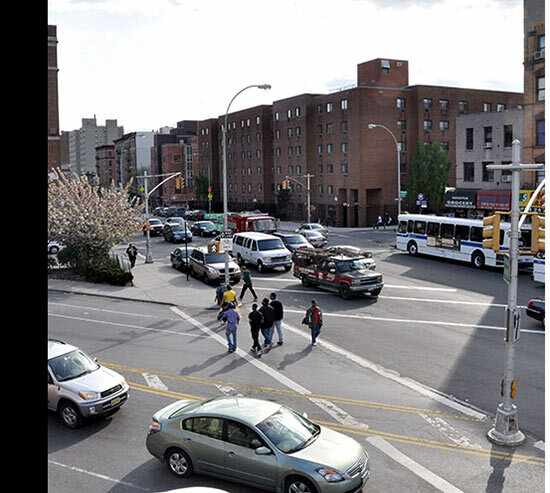 [beforeafter] [/beforeafter] Location: 12th Avenue West at 135th Street. 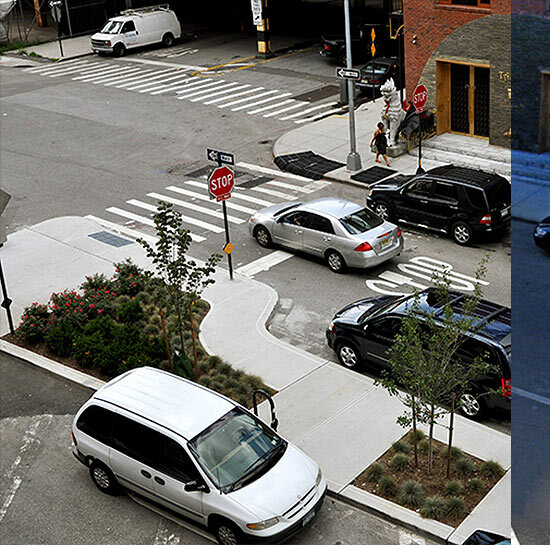 [beforeafter] [/beforeafter] Location: Holland Tunnel Area. 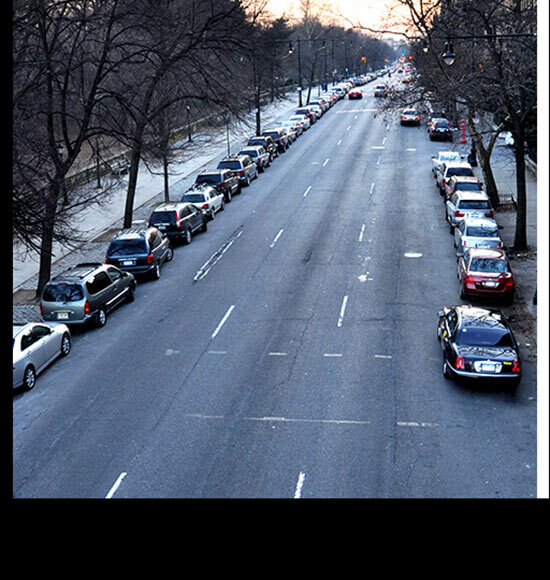 [beforeafter] [/beforeafter] Location: Louis Nine Boulevard. 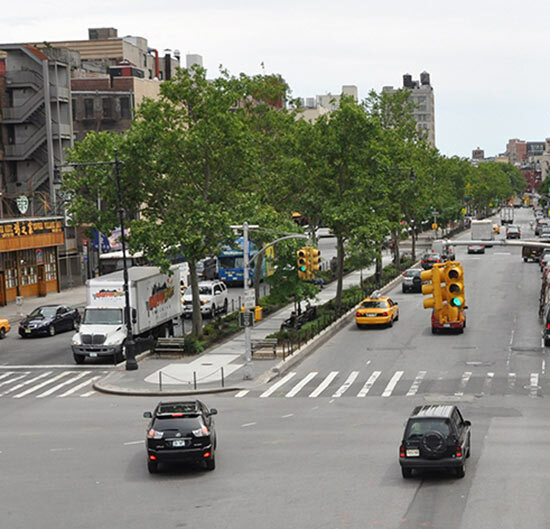 [beforeafter] [/beforeafter] [beforeafter] [/beforeafter] Location: Delancey Street in the Lower East Side. 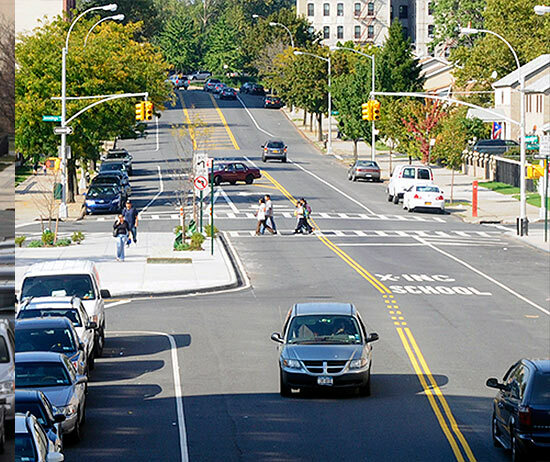 [beforeafter] [/beforeafter] Location: Prospect Park West. 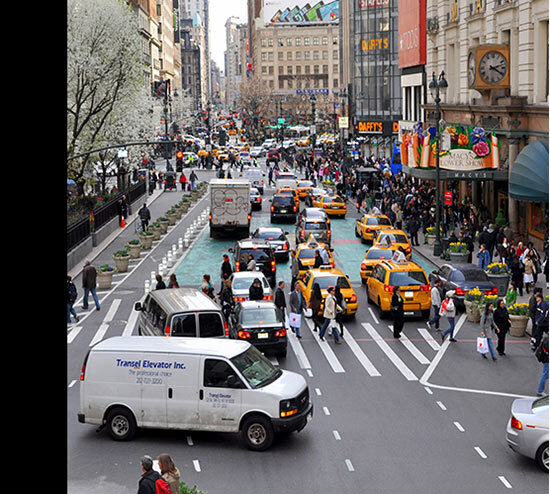 [beforeafter] [/beforeafter] Location: Broadway at Times Square. 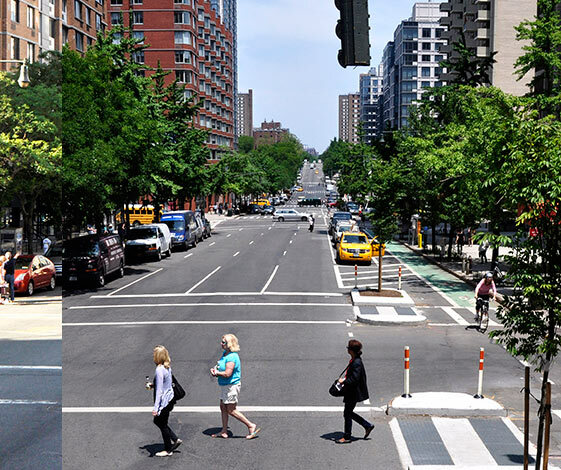 [beforeafter] [/beforeafter] Location: Broadway & West 71st Street. 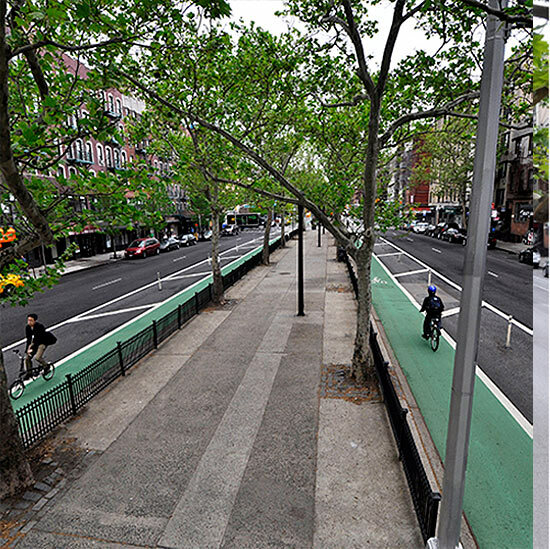 [beforeafter] [/beforeafter] Location: Union Square. 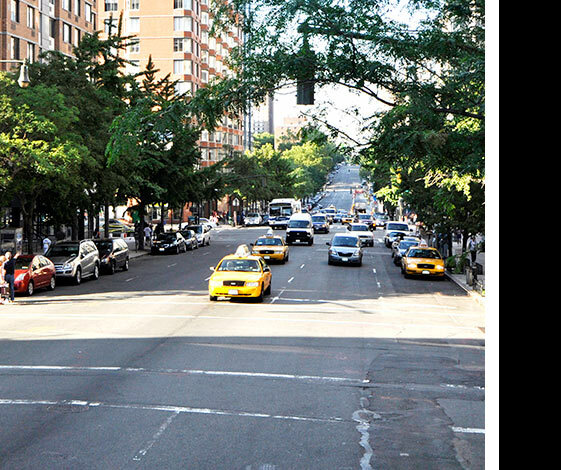 [beforeafter] [/beforeafter] Location: Columbus Avenue. 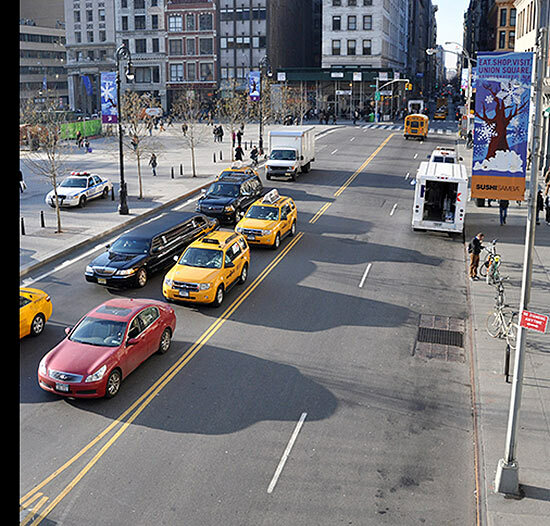 [beforeafter] [/beforeafter] Location: Union Square. [beforeafter] [/beforeafter] Location: Water and Whitehall Streets. 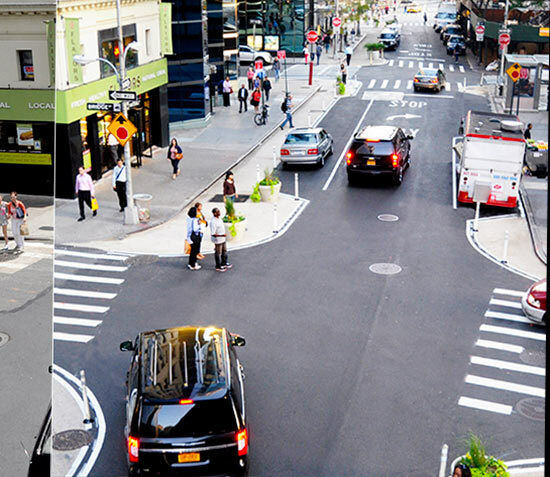 [beforeafter] [/beforeafter] Location: Union Square. 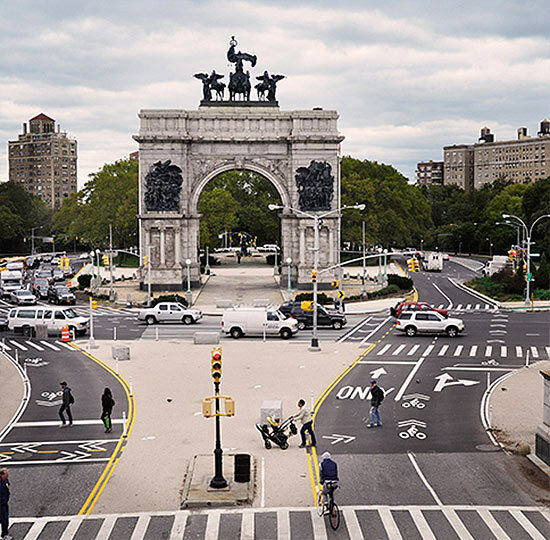 [beforeafter] [/beforeafter] Location: Randall and Leggett Ave. [beforeafter] [/beforeafter] Location: Grand Army Plaza at the entrance to Brooklyn's Prospect Park. 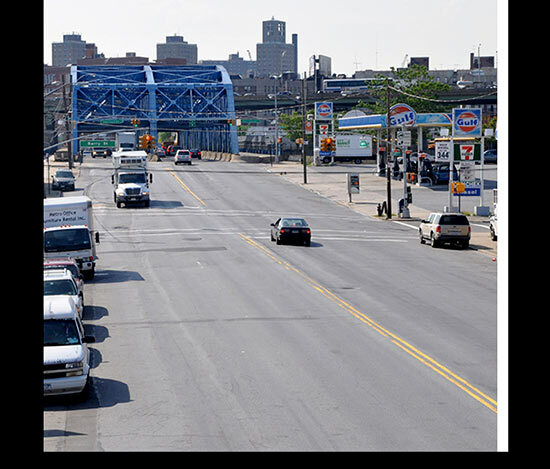 [beforeafter] [/beforeafter] Location: Hoyt Avenue at the RFK Bridge. 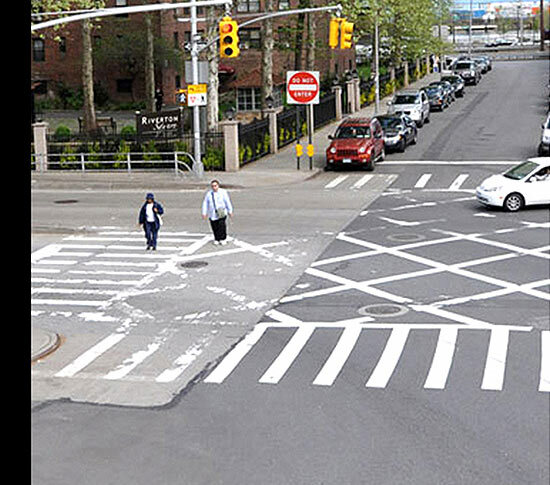 All photos courtesy New York City Department of Transportation. Inside Out New York City Where: Times Square When: Through May 10, 2013 The world’s first photo booth was stationed in Times Square nearly a century ago. 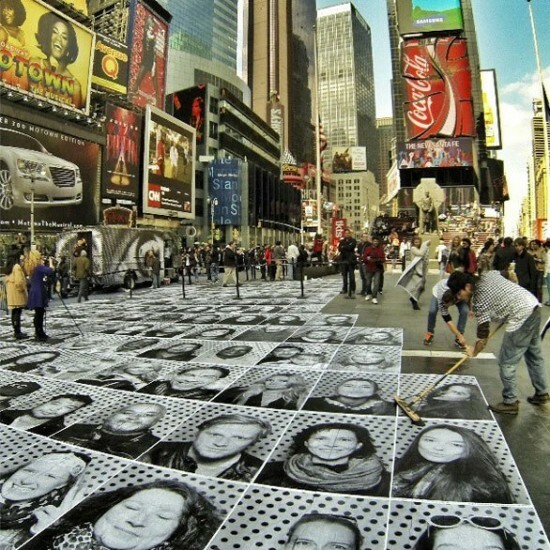 Now, New Yorkers and visitors are invited back to snap some black and white self-portraits in a photo booth truck hosted by Inside Out's French street artist JR. The artist has launched Inside Out New York City, taking place from April 22 to May 10, 2013, to provide community members the opportunity to make a statement and participate in creating works of art out of messages of individual identity. 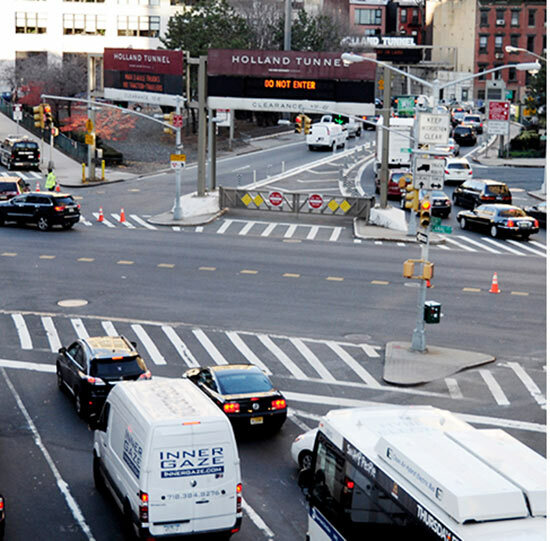 The digitally uploaded photographs are printed as posters and displayed on Duffy Square or publicly in the subjects’ home communities. Inside Out is a worldwide platform for anyone to reveal untold stories. The project gives participants the chance to become visible as larger-than-life portraits and to simultaneously remain anonymous. 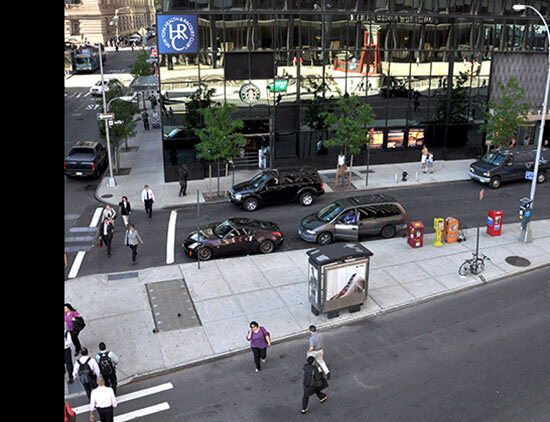 JR's endeavor strives to emphasize Times Square as a creative core, but also engages New York City’s other boroughs. The photo booth truck is making stops in the Bronx, Staten Island, Queens, and Brooklyn, to give attention to communities affected by Hurricane Sandy. Participants can take part in the photo booths instantaneously and at no cost. Within just one minute, a black and white poster is printed. Participants then leave the 3-foot-by-4-foot posters in a public place of their choosing. The exhibitions will be documented, archived, and viewable online. So far, more than 120,000 posters have been sent to over 108 countries since March 2011 as part of the Inside Out project. The self-portraits convey countless themes including diversity, gender-based violence, and climate change. If you want to help Inside Out and will be in NYC between now and May 10, email nyc@insideoutproject.net to volunteer by yourself or with a group. 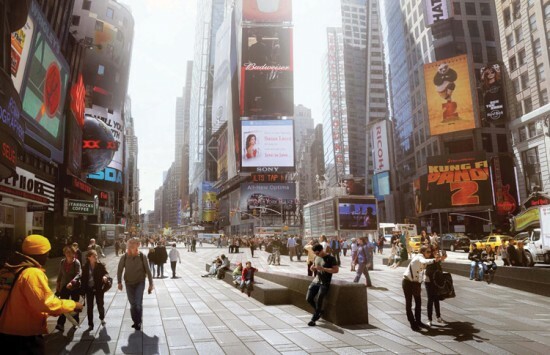 Today, New York City broke ground on the new paving/plaza/seating design for Times Square, created by Snøhetta. Dark pavers inset with reflective stainless steel discs will provide a muted backdrop for the area's frenzy of light and crowds. Monumental benches, with concealed electrical infrastructure for events, will provide a variety of seating, lounging, and viewing options. 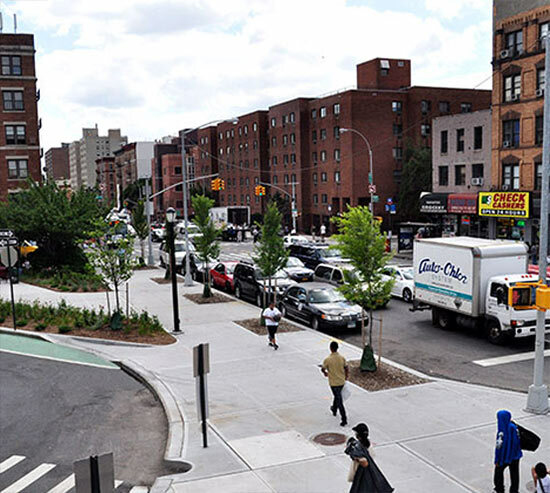 Moreover, the project signals the Bloomberg administration's desire to make its pedestrian plazas permanent. Just in time for Valentines Day, today the Times Square Alliance and Design Trust for Public Space officially opened Situ Studio’s Heartwalk, a heart-shaped installation constructed of salvaged boards that once made up the boardwalks in Long Beach, Sea Girt, and Atlantic City, to the public. Heartwalk is the winner of the 5th annual Time Square Valentines Day Design competition, taking its cue, in subject matter and materials, from the “collective experience of Hurricane Sandy and the love that binds people together during trying times,” according to Times Square Alliance. 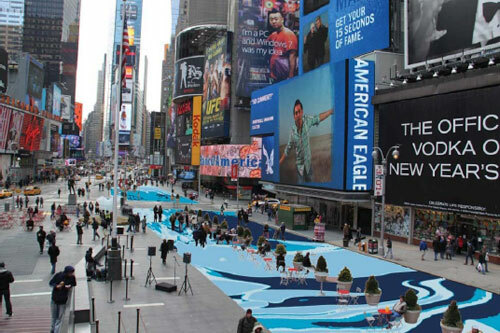 Check out the installation "in the heart of Times Square" through March 8, 2013. Next week, the fifth iteration of the Times Square Alliance's Valentine Heart installation will officially open to the public. Brooklyn-based Situ Studio revealed their installation, Heartwalk, in January, which will be built with salvaged boardwalk boards from from the Hurricane Sandy-stricken Rockaways, Long Beach, Sea Girt, NJ, and Atlantic City. The Situ team has been busy removing hardware from the weathered planks and planing them for a smooth surface. The pre-assembled pieces will be taken to Times Square for assembly, and a ribbon-cutting ceremony will take place on February 12 at 11:00a.m. According to a statement from Situ Studio, "Visitors can enter the installation itself and literally stand in the heart of the world’s greatest city." 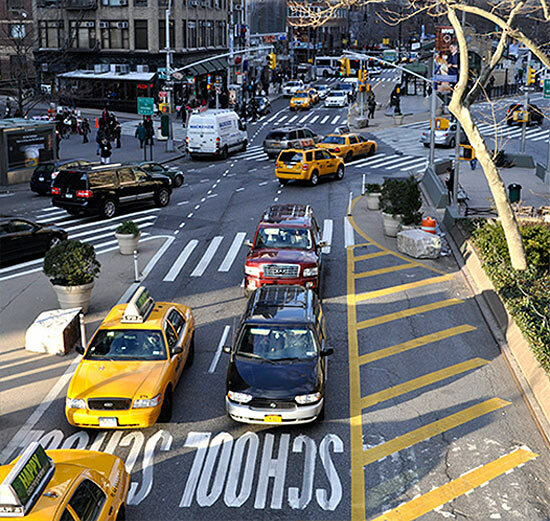 The fifth annual Times Square Valentine Heart Design has been awarded to Situ Studio. 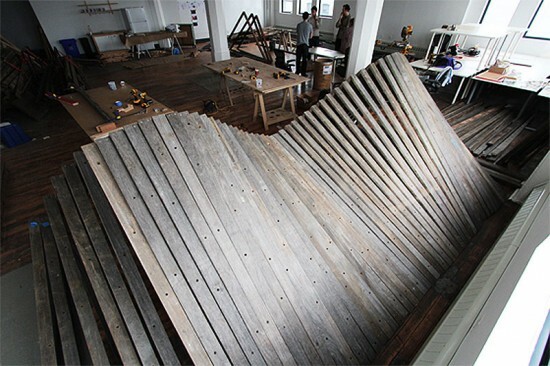 The Brooklyn-based architecture firm presented a design that features "boardwalk boards salvaged during Sandy’s aftermath—from Long Beach, New York; Sea Girt, New Jersey; and Atlantic City, New Jersey. " 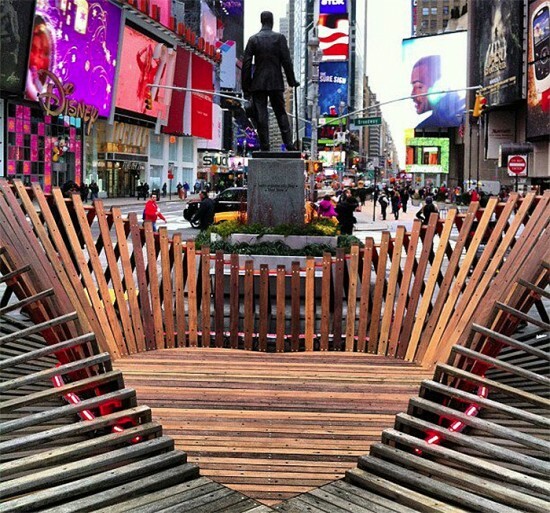 The project titled Heartwalk is described "as two ribbons of wooden planks that fluidly lift from the ground to form a heart shaped enclosure in the middle of Duffy Square." 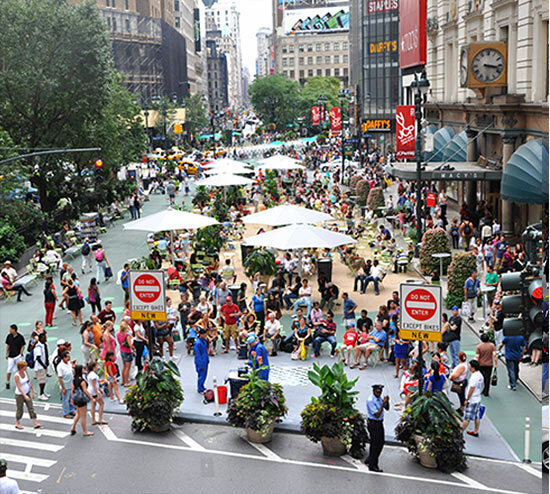 The competition was cosponsored by Times Square Arts, the public art program of the Times Square Alliance, collaborated with Design Trust for Public Space. The installation opens on Tuesday, February 12, and remain on view until March 8, 2013. Opening today for Veterans Day, a new pavilion designed by Brooklyn-based Matter Architecture Practice aims to bring a little Peace and Quiet to the hectic liveliness of Times Square. The new temporary pavilion, built yesterday and set to remain standing through November 16 is described as a "dialogue station" by its architects. "It is a tranquil place to meet, share stories, leave a note, shake hands, or meet a veteran in person," Matter continues on its website. 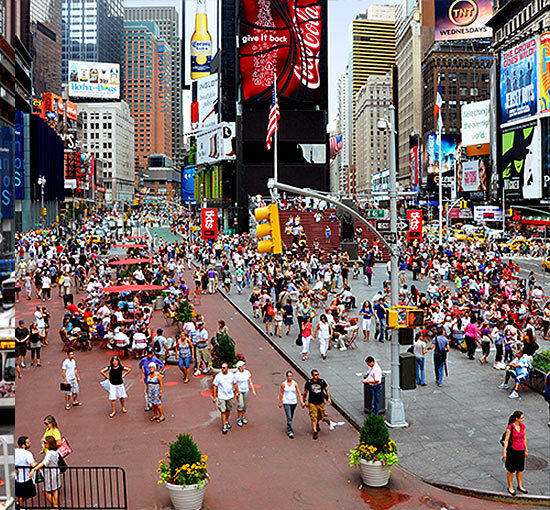 Times Square "seemed the ideal circumstance (or mad challenge) to initiate and inform a poignant exchange of ideas, to will intimacy in an instance of its opposite." Matter's principals, Sandra Wheeler and Alfred Zollinger, proposed the pavilion as part of the Times Square Alliance's Public Art Program's call for proposals. The project was selected from around 400 entries and later funded through Kickstarter. 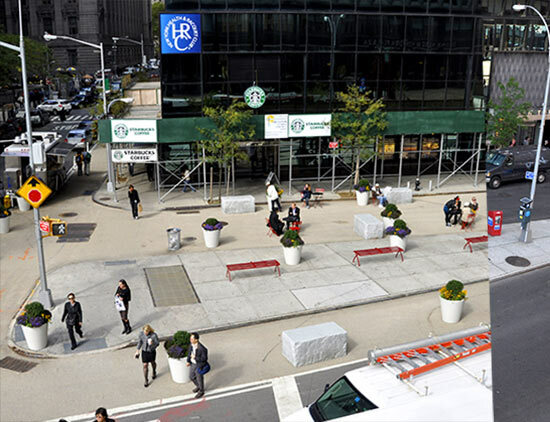 Located at the opposite end of Times Square from the US Army Recruiting Station, Peace and Quiet aims to provide a refuge and portal for veterans returning to civilian life to meaningfully engage with a public that the veterans might not otherwise encounter. The pavilion provides an opportunity for quiet discussion in the middle of one of New York's busiest public spaces where 500,000 people pass through daily. "Discussions between civilians and veterans often fall prey to judgment, stereotypes, or bi-partisan politics simply because these two groups do not know enough about one another," said Wheeler in a statement. "Through conversations focusing on the human experience, we’ve been surprised to discover that there is significantly more common ground than one would think. These are the kinds of conversations we, as a civic society, need to have." Peace and Quiet is open daily at the foor of the TKTS steps in Times Square from 12:00pm until 8:00pm through November 16. 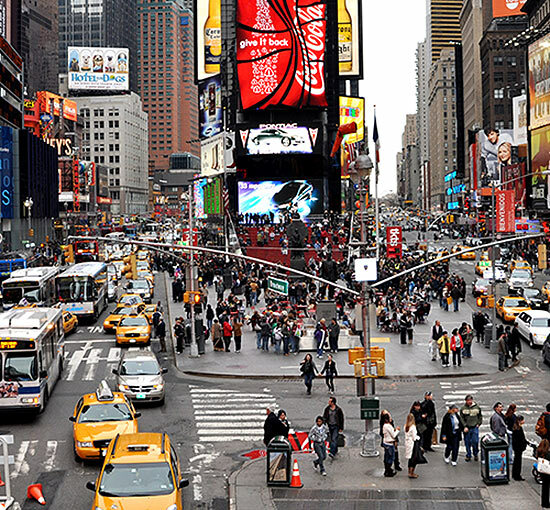 Next time you are in Times Square, don't be shy when you see a spotlight-- no matter how lame your dance moves are, you are guaranteed an explosive roar of applause from an invisible, enthusiastic crowd of people as long as you are moving. (What a refreshing departure from the notorious American Idol jury.) 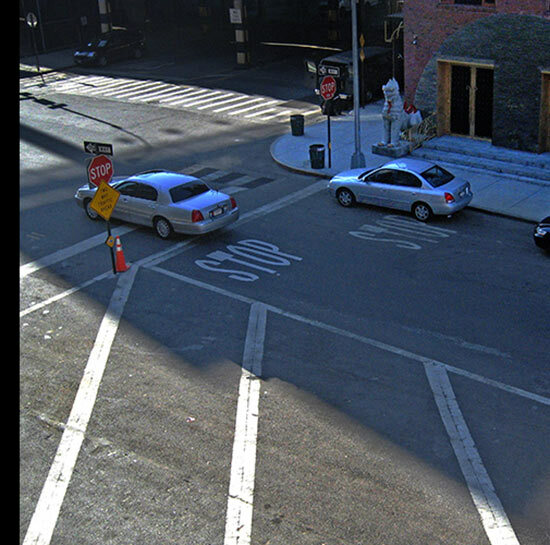 This location-appropriate spotlight installation is an interactive public art work by Adam Frank, an installation artist and a product inventor, whose body of work "represents an ongoing investigation of light and interactivity." His shadow-casting oil lamp, LUMEN, is one of the MoMA Store’s best-selling items. 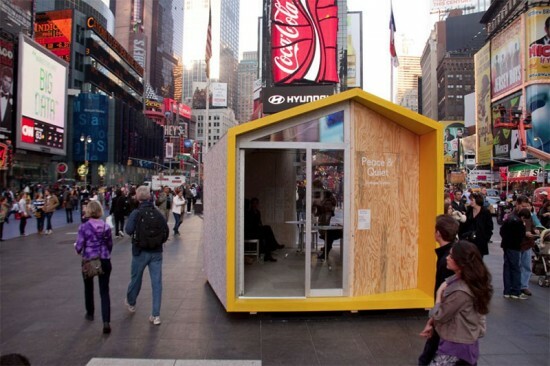 Frank's Performer installation near Times Square--a spotlight, speakers, and an "auto-affirmation" machine--provides a virtual 500-person audience culled from hundreds of live recorded reactions, such as clapping, whistling, hooting, and mumbling. Unsuspecting visitors passing by will only see a spotlight, while speakers, motion sensor, and wiring are cleverly hidden in the semi-enclosed breezeway, a location that effectively provides an open acoustic environment that can make the mechanics of the installation invisible. While the recorded enthusiasm begins when someone walks into the spotlight, it will increase or decrease depending on the performer's motion. There are even uncomfortable coughs and awkward throat-clearings if you stop being charming by standing still. "Performer flips the typical viewer-and-artwork relationship: the viewer's performance is necessary to activate and control the work," said Frank. This reversal of roles is especially potent against the backdrop of the flashy Theater District, where normally a passive, receptive role is expected. 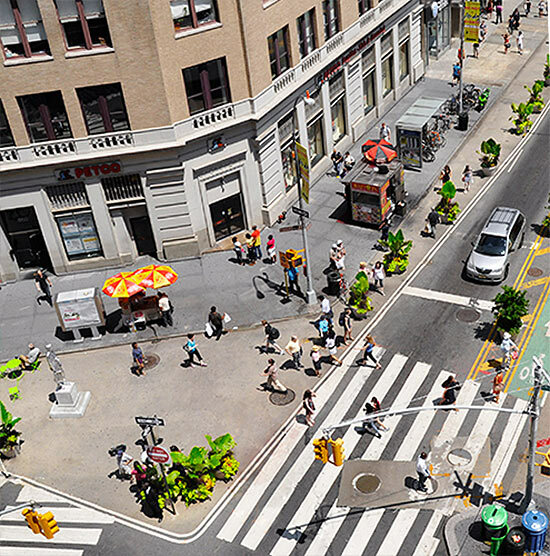 "Over a year ago, we got over 400 responses to our open call for art projects in Times Square--the second we saw this, we knew we wanted to do it, " said Tim Tompkins, president of the Times Square Alliance. "For over 100 years, Times Square has been a magnet for people who love being in the spotlight, and that particular phenomenon has only intensified, with technology's help, in recent years." While Tompkins rightly points out the relationship between technology and stardom--what with all the Youtube fames, blog stardom and whatnot--what modern technology enabled us to do may not be true to the classic concept of being a star, a performer--a light-and-stage kind, a la old Broadway. Instead, more and more "stars" are born off-stage, often secluded in their dark room with a brightly-lit Macbook. Frank's Performer, then, is a classic throwback, demanding a public performance with a physical spotlight (but with a forgiving audience). So next time you want to practice for that dreaded final review or presentation, bring your architectural models to the most easygoing 500-people panel of all. WHEN: Open to the public Oct 13th to Nov 22nd WHERE: Anita's Way at the Bank of America Tower, One Bryant Park (Passageway connecting West 42nd and West 43rd St.) Photos by Ariel Rosenstock. Last week, we came across illustrator James Gilliver Hancock's series of playful block elevations titled "All the Buildings in New York." It turns out this impulse to sketch block upon block of New York's architecture has been around for quite some time. In 1899, the Mail & Express newspaper company published a graphic journey down Manhattan's Broadway in a book called A Pictorial description of Broadway now archived at the New York Public Library. 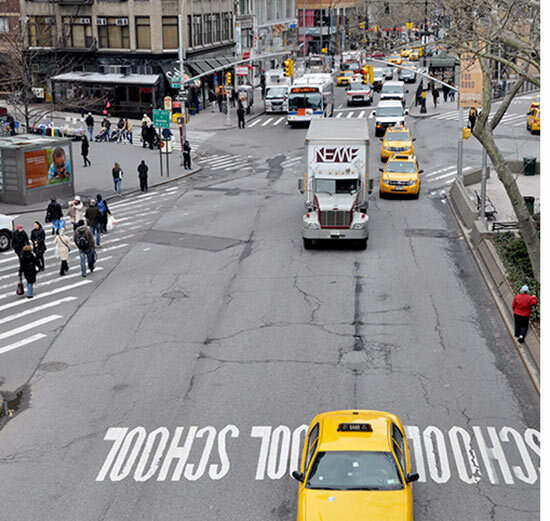 The stroll down Broadway 112 years ago reveals just how much New York has evolved over the past century. 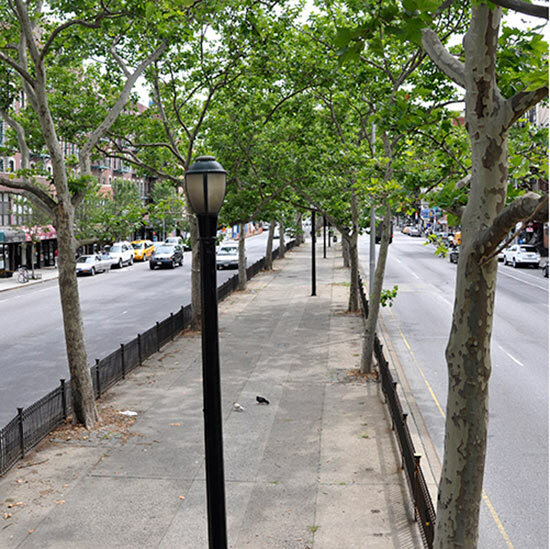 As the NYPL says, "The result, as you can see here, is a 19th century version of Google's Street View, allowing us to flip through the images block by block, passing parks, churches, novelty stores, furriers, glaziers, and other businesses of the city's past." Two of the most dramatic plates in the series show Times Square, above. Quite a striking difference to the neon canyon we know today. Below, you can see the lush Madison Square, also with significantly fewer high rises, and below that is a stunningly underdeveloped 59th Street showing vacant lots and buildings of only a few floors. Click on the thumbnails below to launch a gallery. 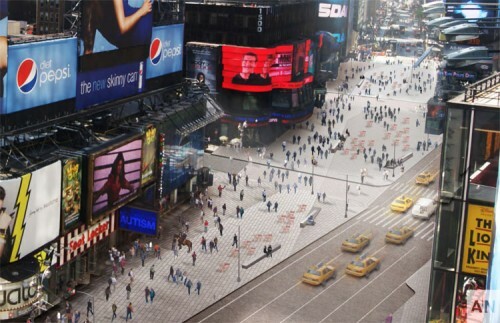 We got an email earlier today from Leni Schwendinger, principal of Light Projects, informing us that she was also part of the team redesigning Times Square, a terrible omission from the original announcement given that this probably the most well-lit place on the planet. "As a location singularly (and controversially) known for lighting and light, the Times Square win is very important," Schwendinger wrote. 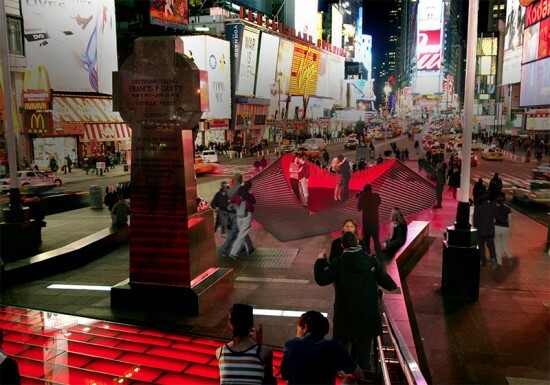 "It is Light Projects’ opportunity to redefine the role of light in the public space of Times Square for pedestrians." (Graphic designers Pure and Applied and engineers Buro Happold are also on the Snohetta-led team.) This revelation led to a nice little discussion on the nature of Times Squares' gigawhattage and some brainstorming on what might make a good design. The main thing, as you have said, is that light has played a critical role in the “Great White Way” since it was a theatre district primarily, through the sordid 70s with the huge cinema marquees and signs through the 90’s when bright lighting became MANDATED—the only district we know of to have a minimum footcandle level (rather than a maximum) which has made the visual illumination characteristics what they are today. One of the vital questions about Times Square lighting will be the determination of whether the street lighting will remain or be removed. 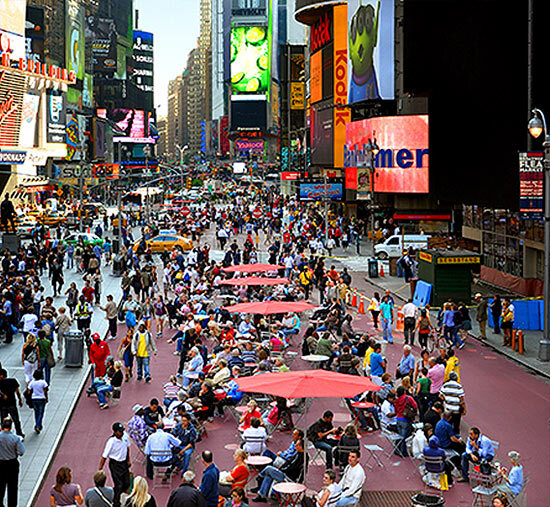 There have been discussions about the need for public, street lighting in Times Square amongst urbanists and lighting designers—and the conundrum in this case is, although the private sector lighting is legislated to be bright, the city can’t legally depend on private lighting to light the streets. So here we have theoretical agreement that the street lighting is redundant. 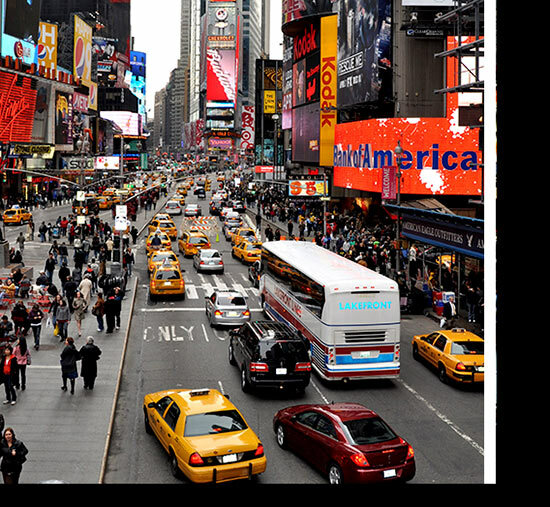 Times Square, the globally recognized after-dark crossroads of the world will be completely transformed by our team. My ideas for the lighting of Times Square will take into account the walls of Times Square, the buildings that make the walls, their lighting, catalyzing the uses and activities of the new plaza, and integrating into our team’s approach to the architecture and landscape of tomorrow’s Times Square. Schwendinger stressed that these are of course her own initial thoughts and not that of the teams—duh!—but here's your disclaimer anyway. As for the project itself, we've already got our tickets and can't wait for the show to begin. While it was nearly hot enough to fry in egg in Times Square Tuesday, things have since cooled off a bit, and not simply because the temperature dropped back into double digits. Today the city's Department of Transportation began installing in the public plazas Molly Dilworth's 18-month installation, "Cool Water, Hot Island," which will not only prettify the eight newish plazas with an abstracted heat map of the city but also reflect some sunlight, making for a more comfortable experience. 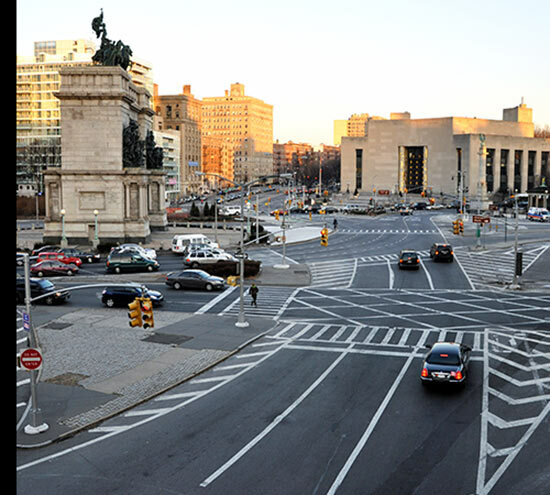 Meanwhile, DOT along with the Department of Design and Construction announced that it had selected Nordic knockouts Snøhetta as the lead designer for the long-term transformation of the square. 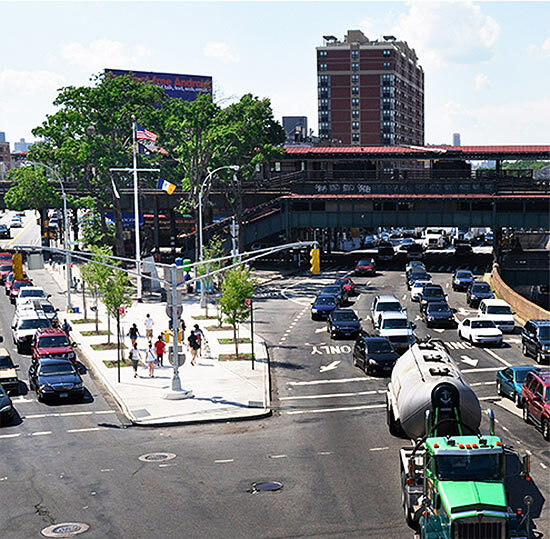 The selection of Snøhetta is not exactly a surprise, as it is one of the eight firms in the city's Design + Construction Excellence program, from which DOT had already said it would make its choice because it streamlines the design process as the firms are prequalified. Yet it was Snøhetta's experience outside the city that helped win it the commission. 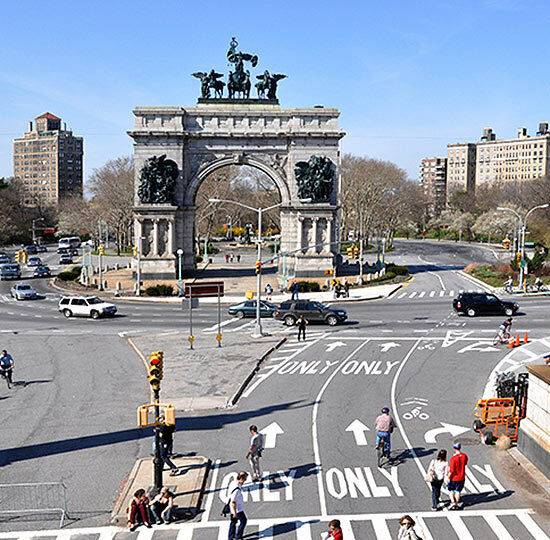 “It is a classic New York story that reconstruction of the ‘Crossroads of the World’ will be led by a firm with an international reputation for creative vision and excellence,” DDC commissioner David Burney said in a statement. Snøhetta's preference for public art, landscape design, and sustainability may have played a role in its winning the commission. Still, the nature of the project is rather new to the firm, most of its successes having come through buildings such as the Library of Alexandria and Oslo Opera House, though both are incredibly public in their nature, so Snøhetta should prove a good, and certainly interesting fit, as its work at Ground Zero has shown. Joining the Oslo- and New York-based firm on the design team are WXY Architecture and Design, Weidlinger Associates (engineers), Mathews Nielsen (landscape), Billings Jackson Design (industrial), and Bexel (audio-visual), all of whom are Excellence program participants. 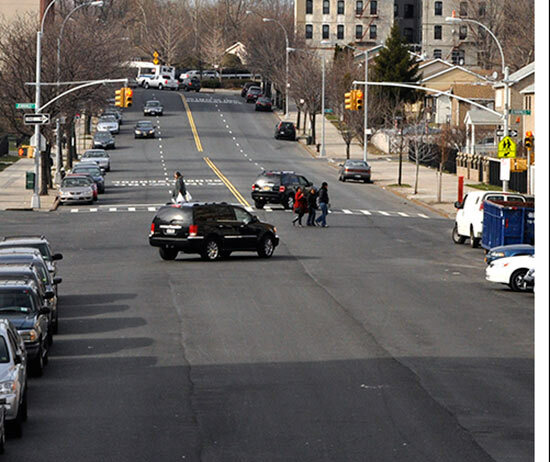 The design work is just beginning, with no time line or budget yet set for its unveiling, according to a DOT spokesperson, though the plan remains to begin construction in 2012. 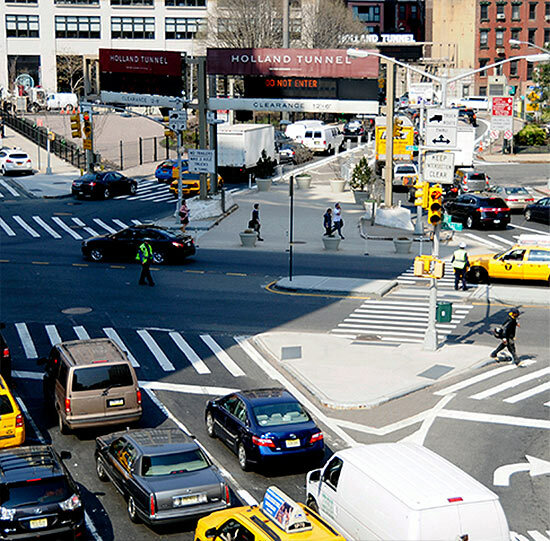 The firms will be responsible for improving the pedestrian experience in the plazas as well as the infrastructure for the various events held in Times Square throughout the year. 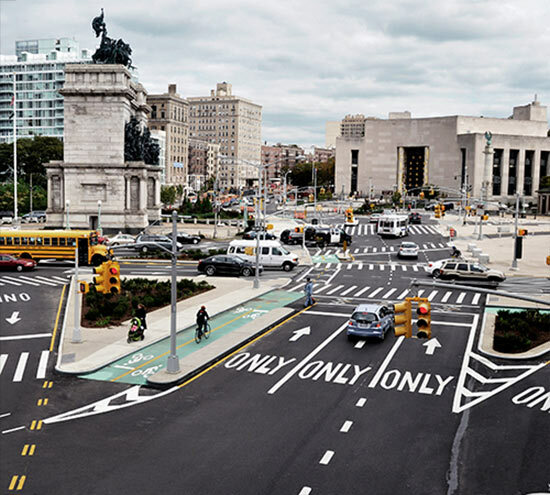 "Our goal is to improve the quality and atmosphere of this historic site for pedestrians and bicyclists while also allowing for efficient transportation flow for the betterment of the city,” said Craig Dykers, head of Snohetta's New York office and its co-founder. And in more Molly Dilworth news, online art gallery Art We Love is selling a series of seven prints for 15 bucks a pop.